Under the Planning Act of 1990 the Secretary of State is required to compile lists of buildings of special architectural or historic interest. Buildings which qualify to be 'listed' are (a)all buildings before 1700 which survive in anything like their original condition; (b)most buildings between 1700 and 1840, though selection is necessary and (c)between 1840 and 1914 onwards are also sometimes considered. 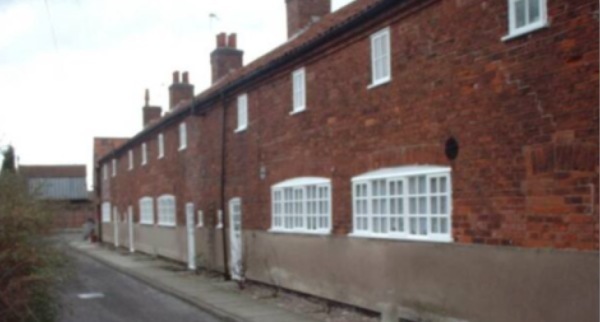 A survey is carried out by the Department of the Environment's Inspectors of historic buildings for each local authority area, and buildings are classified in grades to show their relative importance. Grade II* are particularly important buildings of more than special interest but not equal to Grade 1. This category is estimated to contain some 4% of listed buildings. 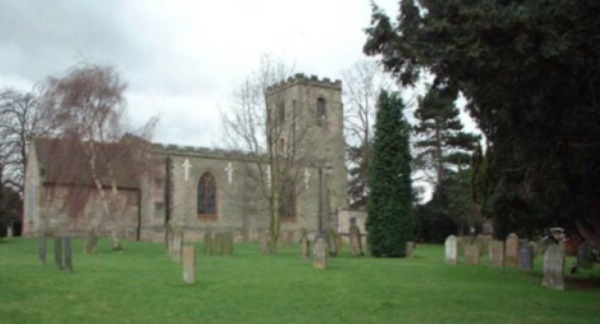 Although containing fragments of 11th century carved stone, St. Wilfrids Church is mainly 13th and 14th century. Many alterations have, however, occurred since. The nave and tower were rebuilt in 1763 re-using old stone and the work is commemorated by a stone over the west door inscribed "1763 M.Pugh, Vicar, Sam Pugh, Church Wardens". The chancel was rebuilt in 1835 and the whole church restored in 1881. An organ chamber was added in 1888 and a new vestry in 1962. This late 17th century brick cottage has been partially rendered and a modern porch added. The windows are glazing bar casements, those to the ground floor have segmented arches over them. An early 18th century whitewashed brick cottage with late 19th century alterations including a gabled single storey addition. Some of the casement windows have glazing bars whilst the others are leaded. The early 20th century central porch with pantile roof has a door in the return angle. When built in 1834 Windles Square had cottages on three sides. Only two of therows, in an L-plan now remain standing and until the 1970's were in a very poor condition. In 1972 a plan for restoration was drawn up by Nottingham University School of Architecture and paid for by the Nottingham Building Preservation Trust. Built of brick and partly rendered the cottages have modern casements with segmental heads. They are particularly important as an early example of ground floor framework knitters workrooms with large windowsto both front and rear for maximum light. This former vicarage was built in the early nineteenth century of rendered brick with a hipped slate roof and timber eaves cornice. On the west front is a rebated recess containing a door topped by a fanlight and flanked by glazed lights. The windows are mainly vertical sliding sashes. Originally built as one, this eighteenth century house has since been divided into two smaller properties. The brick building has a rendered plinth and plain tile roof. To the right is a lower mid-nineteenth century addition. The nineteenth century casement windows are under segmental heads and the doors have more recent weatherboarded porches. A late eighteenth century brick house and adjoining cottage with a late nineteenth century rear extension. The ground floor openings have segmental heads and the windows are all twentieth century casements. An early nineteenth century whitewashed brick house with a pantile roof. The windows are Yorkshire sliding sashes, those on the ground floor having segmental heads. The south front has a central panelled door with a gabled timber porch. To the rear are two nineteenth century additions. Built in the first years of the nineteenth century this brick building is an early example of a hosiery factory. Hosiery was made in the factory on hand frames by Allen Solly of Arnold until 1944. The windows to both floors are very large to allow maximum light into the working area. A three storey brick farmhouse of circa 1775 with adjoining cartshed and stable. The south front has a central glazed panelled door. Above it is a stone hood on brackets surrounded by an elaborate wrought iron porch. The windows under segmental heads are mainly vertical sashes with glazing bars and nineteenth century casements. An early nineteenth century whitewashed brick house with a pantile roof. The north front has casement windows with a late nineteenth century gabled porch to the right. This whitewashed brick house with a pantile roof dates from the late eighteenth century. Over the door is an interesting brick hood. Of particular note is the small lead fire insurance plaque fixed high up on the wall. A property could be insured against fire with private insurance companies who employed their own fire fighters. Houses registered with a particular company displayed such a plaque showing the name of the company and its coat of arms. Those failing to display the correct plaque did not get their fire extinguished. This cottage of circa 1780 is now used as a village museum housing a 200 years old hand frame. The kitchen is set out as it would have been when the cottage was built and there is a bedroom in Edwardian style. The brick building has a steep pitched pantile roof with brick coped gables. 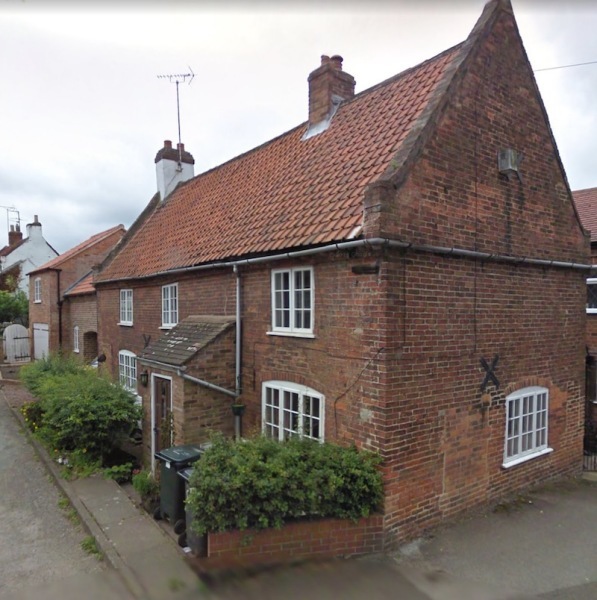 Many Nottinghamshire houses of the eighteenth and nineteenth centuries display their date of construction with burnt header bricks arranged in numbers and letters on a blank red brick wall. This former group of three framework knitters cottages is such a building inscribed on the north gable with 'MS 1857'(Matthew Shepherd). Like nearby Windles Square, the knitters workrooms with their large windows are located on the ground floor. This early eighteenth century farmhouse was raised to its present three storey height some time later in the same century. It is built on an L-plan with a lean to rear addition and adjoining single storey stable. The windows are mainly glazing bar sashes, to the centre having a keystoned roundhead, whilst the second floor has three semi-circular windows. The central door has a moulded doorcase with an overlight. A farmhouse of circa 1800 with mid nineteenth century additions including a small attached outbuilding and a central gabled porch supported on wooden piers.